Really trying to get this car assembled correctly. from the engine enter into the cabin? Are there reasons I should reconsider the vacuum tank? I guess I am used to vacuum wipers slowing on low vacuum pulls. Other considerations? 2) Where does the radio foot switch mount? I have been through numerous pictures and can't see it. I'll jump on here, perhaps this will help. 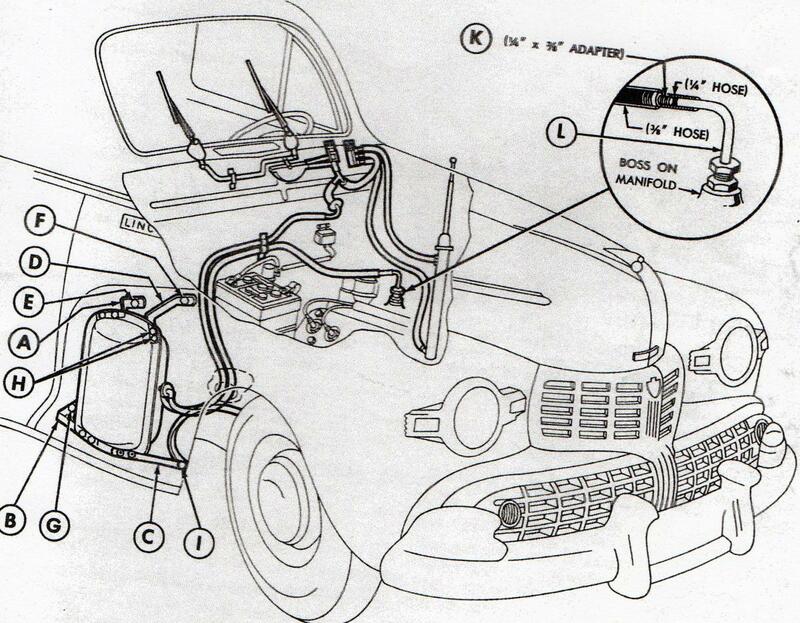 The vacuum tank helped stop the slow operation of the wipers, also the fender radio antenna was vacuum operated. Thanks for the sketch. Now I have a good idea why our previous owner put in an auxiliary vacuum pump when he left the lines to the replaced non-vacuum antenna unplugged. I'm highly suspicious of the check valve on the tank as well.